SHANGHAI—On his trip to America, Xi Jinping often seemed caught between two audiences—his skeptical hosts who needed gentle reassurance and the one that mattered most, the crowd back home who admire his firm rule and tough nationalism. NEW YORK — United States President Barack Obama and Chinese President Xi Jinping have exchanged verbal jabs over territorial disputes in the South China Sea involving Beijing and several other countries in the region in their speeches delivered at the annual United Nations General Assembly this week. NEW YORK (AP) — Vietnam's president told The Associated Press on Monday that China's island-building in the disputed South China Sea violates international law and endangers maritime security. Vietnam has full historical evidence and legal basis to support its sovereignty over Hoang Sa (Paracel) and Truong Sa (Spratly) archipelagos, State President Truong Tan Sang said in the U.S. on Sunday. 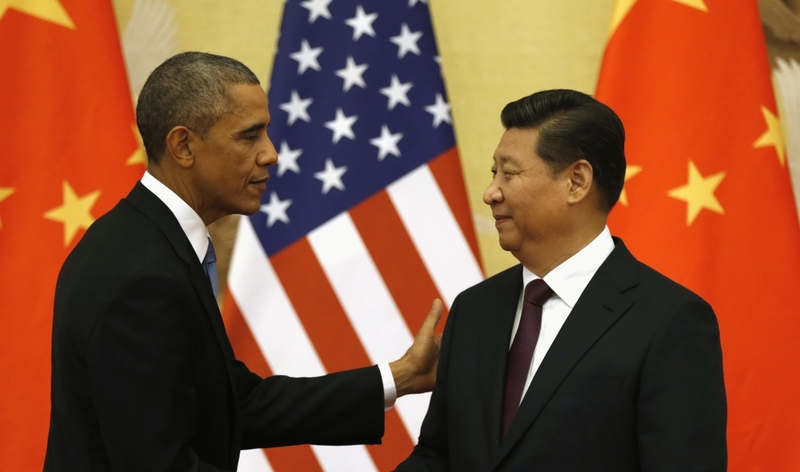 On September 24-25, 2015, President Barack Obama hosted President Xi Jinping of China for a State visit. The two heads of state exchanged views on a range of global, regional, and bilateral subjects. Rose Garden - 12:22 P.M. EDT - PRESIDENT OBAMA:Â Good afternoon, everybody.Â Please have a seat. I want to once again welcome President Xi back to the White House.Â We first hosted him here three years ago when he was Vice President.Â So this is our sixth meeting. 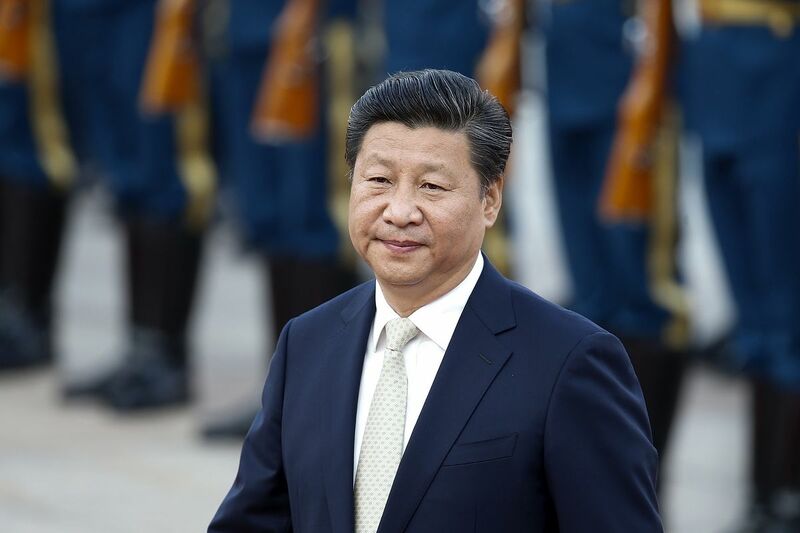 As Chinese President Xi Jinping makes his first state visit to Washington this week, the outlook for relations is decidedly murkier than when he hosted President Barack Obama at their last summit less than a year ago. Xi Jinping is coming to America. 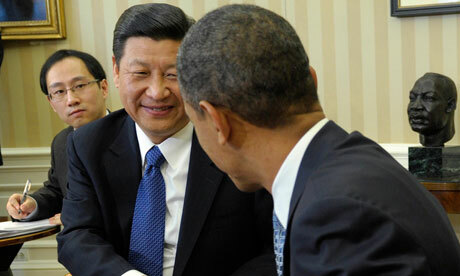 The Chinese leader will land in Seattle, visit the White House and address the United Nations for the first time. To prevent China from making self-serving maritime advances and to maintain regional stability, Japan must strengthen strategic cooperation with other countries concerned. China’s top foreign affairs official played down disputes with the U.S. over shipping lanes and cyberhacking, as President Barack Obama prepares to host counterpart Xi Jinping on his first state visit. Tokyo and Hanoi are expected to forge closer security and economic ties when Vietnam's top leader, Mr Nguyen Phu Trong, makes a four- day official visit to Japan this week. During talks with Mr Trong, Japanese Prime Minister Shinzo Abe is likely to pledge fresh economic aid.